It’s time for April Showers which prompted me to doodle this little girl. 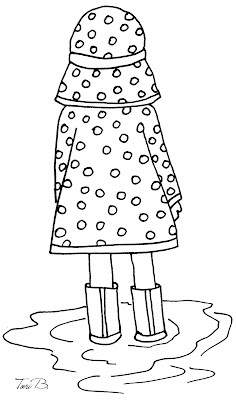 In her over sized polka dot hat and raincoat she’s sure to keep dry. 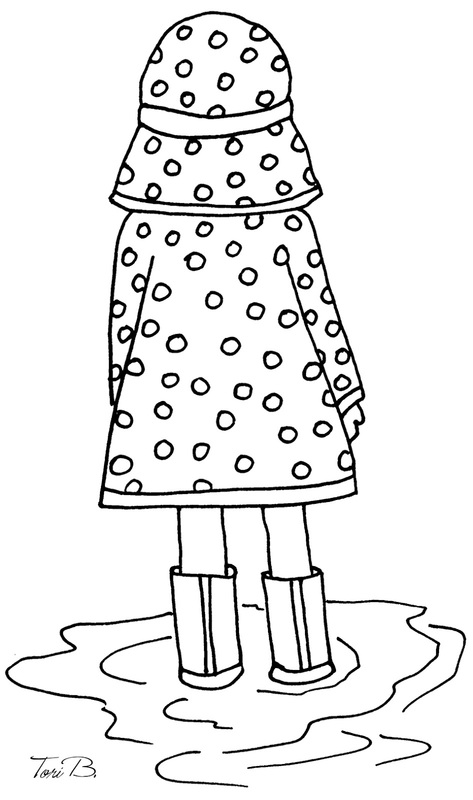 This week’s Free Crudoodle digital stamp is named In a Polka Dot Raincoat. To save In a Polka Dot Raincoat to your computer, please click on the image above, then, right click on the picture, and save to your computer. Posted in freebie, Tori Beveridge and tagged card making, coloring page, crafts, Crudoodle, Crudoodles, Cruzines, digi stamp, digital stamps, doodle, free, illustration, line art, paper crafts, sketch, Tori B. Thank you! This is so cute!